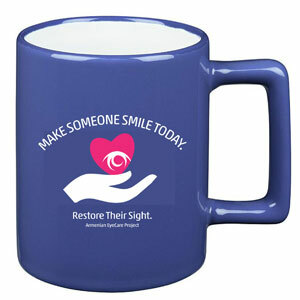 Begin your day with a fresh cup of coffee or tea in this ocean blue ceramic mug. Square handle adds flair to this classic ceramic mug. All white inside helps you spot and remove coffee stains.